Testing the limits: Wu’s pro-market ideas have influenced a generation of younger economists who now hold senior government posts. Lucas Shcifres / Bloomberg. 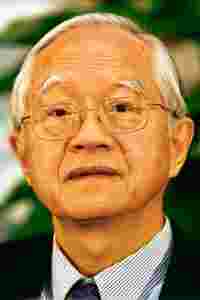 Beijing: At 79, Wu Jinglian is considered China’s most famous economist. In the 1980s and 1990s, he was an adviser to China’s leaders, including Deng Xiaoping. He helped push through some of this country’s earliest market reforms, paving the way for China’s spectacular rise and earning him the nickname “Market Wu". Wu has not been interrogated, charged or imprisoned. But the fact that a state newspaper, The People’s Daily, among others, was allowed to publish Internet rumours alleging that he had been detained on suspicions of being a spy for the US hints that he is annoying some very important people in the government. He denied the allegations, and soon after they were published, China’s cabinet denied that an investigation was under way. But in a country that often jails critics, Wu seems to be testing the limits of what Beijing deems permissible. While many economists argue that China’s growth model is flawed, rarely does a prominent Chinese figure, in the government or out, speak with such candour about the flaws he sees in China’s leadership. Wu—who still holds a research post at an institute affiliated with the State Council, China’s cabinet—has white hair and an amiable face, and he appears frail. But his assessments are often harsh. In books, speeches, interviews and television appearances, he warns that conservative hardliners in the Communist Party have gained influence in the government and are trying to dismantle the market reforms he helped formulate. He complains that business tycoons and corrupt officials have hijacked the economy and manipulated it for their own ends, a system he calls crony capitalism. He has even called on Beijing to establish a British-style democracy, arguing that political reform is inevitable. Provocative statements have made him a kind of dissident economist here, and showed the sharp debates behind the scenes, at the highest levels of the Communist Party, about the direction of China’s half-market, half-socialist economy. In many ways, it is a continuation of the debate that has been raging for three decades: What role should the government play in China’s hybrid economy? Wu says the spy rumours were “dirty tricks" employed by his critics to discredit him. “I have two enemies," he said in a recent interview. “The crony capitalists and the Maoists. They will use any means to attack me." Nevertheless, some analysts believe that Wu’s critiques are aiding one government faction in a power struggle with another, and that he is protected. His pro-market ideas have influenced a generation of younger economists who now hold senior government posts, including Zhou Xiaochuan, the leader of China’s central bank, and Lou Jiwei, chairman of the country’s huge sovereign wealth fund. “He is like the father of economics here," says Laurence Brahm, who wrote several books about China’s reform period. “What he said was the blueprint for reform." Given this, some people say, Wu is courting danger by speaking out. “You have to remember, China is a dictatorship," says Victor Shih, a professor of political science at Northwestern University. “If they want to shut him up, they can." Given the risks, it’s hard not to wonder why one of the architects of China’s reforms has turned so negative, so angry and so defiant. Wu’s personality and tumultuous life story provide some clues. Even his supporters acknowledge that he has a combative streak and describe him as a stubborn idealist whose verbal jousting skills were honed during years of hardship and political warfare. “He always expressed his ideas in the sharpest way," says Zhang Chunlin, a student of Wu. “He’s not diplomatic. Even at close to 80 years old, he argues with journalists." That he has lived such a long life would have surprised his parents, wealthy intellectuals who ran one of the country’s largest independent newspapers, in Nanjing. A sickly child with tuberculosis, he was not expected to live past the age of 1. He spent much of his youth confined to bed, reading Russian novels and the works of Lu Xun, an influential Chinese writer from the 1920s. Mao Zedong wanted intellectuals sent to the countryside to be “re-educated". So in 1969, virtually the entire academy was sent to Henan Province to learn to farm and to build houses in remote villages. “When I left, I was prepared never to return home again," Wu says solemnly. “We were told we’d farm for the rest of our lives." Wu says the hardships included sessions in which he was denounced as an anti-Maoist. When pressed to confess, or to denounce others, he says he refused, and then was beaten and placed in solitary confinement. This didn’t shake his faith in socialism, but he began to distrust the people around Mao who were calling believers like him enemies of the people. His only solace, he later said, was his friendship with a scholar named Gu Zhun, who was an early critic of central planning, and an advocate of market reform. Gu encouraged him to learn English and to explore the outside world, which Gu said was the only hope for China to develop. After the Cultural Revolution ended with Mao’s death in 1976, Wu says he began to see that Mao’s economic policies had brought the country to the brink of collapse. In 1978, when Deng Xiaoping began to press ahead with bold reforms aimed at opening up the country, Wu was heavily influenced by the thought and advice of his colleague Gu, who had died in 1974. He learned English, and in 1983 went to Yale as a visiting scholar. Much of his time there was spent studying modern economic theory. Wu returned to Beijing in 1984, just as China’s economic reforms were gathering momentum under Zhao Ziyang, the party leader and chief economic planner. That year, Wu says he helped Ma Hong, a top government adviser, draft a paper that defined the country’s shift from a planned to a market economy. “This was a very important turning point for China’s economy," he says. The reforms, though, fuelled strong growth and are widely credited with changing the course of the nation. But by the late 1980s the reforms also opened the doors to corruption and soaring inflation, feeding public anger that contributed to the 1989 student demonstrations in Tiananmen Square. Zhao was removed from office just ahead of the bloody assault on the students and the campaign against dissent and “liberalization". The reforms stalled. Not long after, Wu and other reformers were attacked for favouring a Western-style market system. “For the first guys who advocated a market system, it was pretty dangerous," Wu said in a recent telephone interview. He was among them, and so he was derisively branded “Market Wu". For a time, publishers refused to sell his books. By most measures, China’s economic transformation has been a resounding success. Anyone who travels here can see it: the change in people’s living standards, the makeover of big cities—what has come to be called China’s economic miracle. But Wu sees the defects: a government prone to “meddling" in the marketplace; a widening income gap; inefficient monopolies; and crony capitalism. His critique sharpened considerably after Jiang Zemin stepped down as president in 2003, and Wu’s role was diminished. In interviews, Wu says he feels compelled to speak out because conservatives and “old-style Maoists" have been gaining influence in the government since 2004. These groups, he said, are pressing for a return to central planning and placing blame for corruption and social inequality on the very market reforms he championed. At the same time, Wu says, corrupt bureaucrats are pushing for the state to take a larger economic role so they can cash in on their positions through payoffs and bribes, as well as by steering business to allies. “I’m not optimistic about the future," Wu said. “The Maoists want to go back to central planning and the cronies want to get richer."